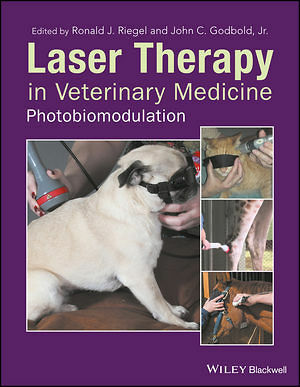 Ronald J. Riegel, John C. Godbold, Jr.
Laser Therapy in Veterinary Medicine: Photobiomodulation is a complete guide to using therapeutic lasers to treat veterinary patients. Focusing on practical information for incorporating laser therapy into veterinary practice, the book covers applications for dogs, cats, horses, exotic animals, and food animals. It offers a practical, clinically oriented manual for successfully using photobiomodulation in the veterinary clinic. The book begins with introductory chapters explaining the basic principles involved, including physics, the biochemical mechanisms of action, and general guidelines for using therapeutic lasers. Subsequent chapters focus on specific clinical applications. 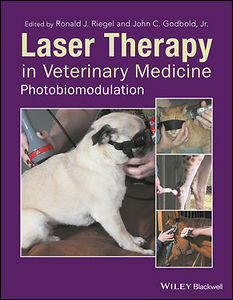 Laser Therapy in Veterinary Medicine: Photobiomodulation is an essential reference for any veterinarian wishing to enhance their practice with laser therapy.